I’m Kate Miller – a writer based in Hertford (Hertford UK I should say, as this is an international site) and here on my blog you can find out about my writing and various ongoing and recent projects. 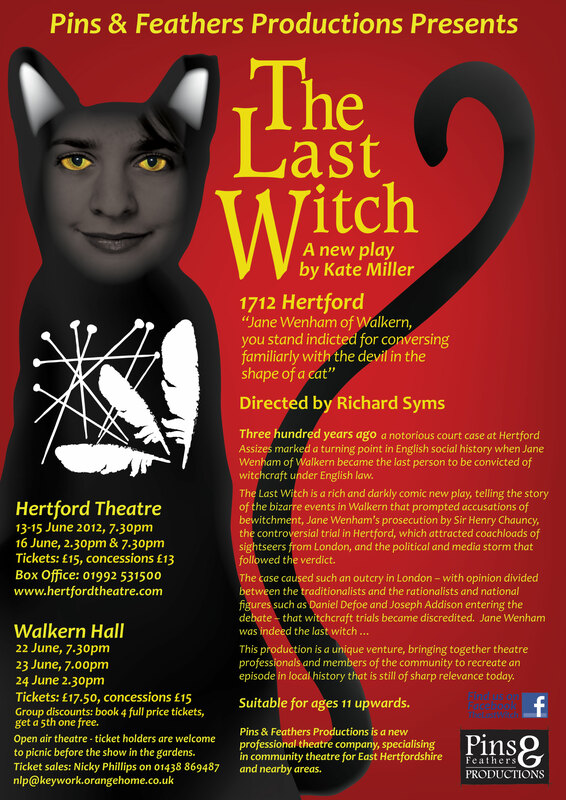 The most exciting project this year has been ‘The Last Witch’ – my new play performed in a sell-out run at Hertford Theatre in June and in delightful (though wet) outdoor performances in the village of Walkern. The play tells the true story of Jane Wenham of Walkern, who in 1712 became the last person to be convicted of Witchcraft under English law. The play was wonderfully directed by Richard Syms and had an excellent cast, made up of both professional actors and local volunteers. We’d love to take the play further and are thinking about taking it on tour, if we can raise sponsorship. In contrast, the second pic below is another, rather more wooden, set of actors – the cast of Red Riding Hood. 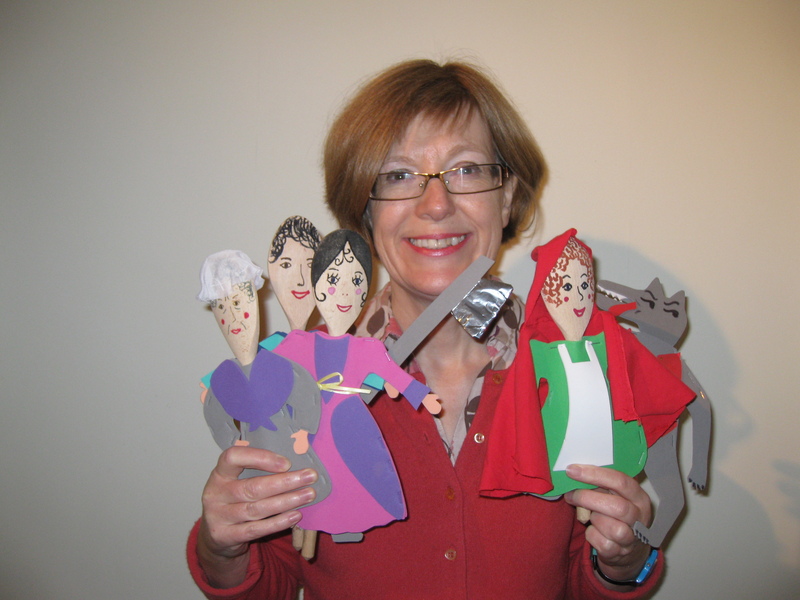 This is one of a whole range of stories-with-puppets I do for children aged 4 to 11. Red Riding Hood puppets. They’re made from wooden spoons, apart from the wolf, whose head comes off when the woodcutter chops him with the axe. This is invariably the children’s favourite moment.